“They brought last a variety of small fluffy animals. 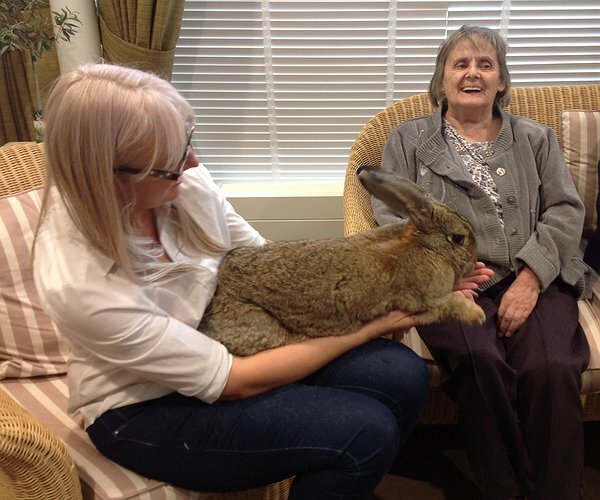 Our residents and staff had a wonderful afternoon making new friends with rabbits, chinchillas, gerbils, Guinea pigs, and even a rescued hedgehog,” said Mandi Southern, Activities Coordinator at the care home, which is managed by Clwyd Alyn Housing Association. "Community fun for Rosehill residents"